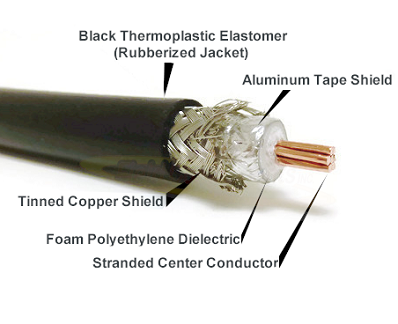 Times Microwave's UltraFlex series LMR(R) cables feature stranded center conductor and rubberized outer jacket designed to withstand repeated bending. 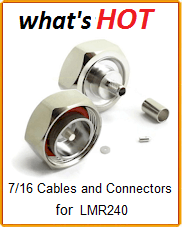 The LMR-400-UF Cable Assemblies series are used for both indoor and outdoor applications. LMR-400-UF UltraFlex Outer Jacket Construction properties include a Rubberized Thermoplastic Elastomer Jacket that is UV and Weather Resistant making it an Ideal choice for Low Loss Cable for outdoor use. These unmatched cable characteristics give the LMR-400UF Ultraflex a life expectancy of 10+ years in outdoor environment. LMR400UF Is a direct replacement for Typical RG-8 and Belden 9913 cable types. The dual RF Shielding includes an outer overall Tinned Copper braid which over lays a multi-ply bonded foil shield. The shield combination gives this LMR240 a 50dB greater RF Shielding over typical single shielded coax cable (40 dB). The overall construction of the LMR400 UltraFlex Cable gives additional qualities such as tensile Strength up to 160lbs with a continuous bend radius of 4in. 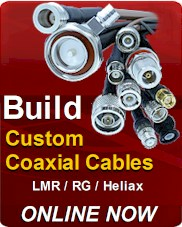 Field Components offers in house Custom Coaxial Cable Assemblies using True Times Microwave LMR-400-UF UltraFlex Cable. This allows Field Components the opportunity to build virtually any variety of LMR400 UltraFlex cable and connector options. All LMR Cable Assemblies are terminated and sealed with UV resistant and weather proof Adhesive Lined Shrink Tubing. The Adhesive lined shrink tubing aids in the protection against the elements and added strain relief. Additionally we can add custom labels on your cables (upon request) which can include your part numbers, your logo, cable destination and cable orientation. Additional specification for requested Custom Labels can be UV resistant, Water proof and in some cases full Color. Below is a list of the more common LMR-400-UF Cable Assembly types with their relative connectors. Choose your connector specification needs. N Type LMR-400-UF UltraFlex Cable Assembly are manufactured using Times Microwave cable. 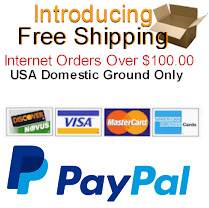 Field Components Type N LMR400 Cables are available in Straight, Reverse Polarity, Stainless Steel, and Brass. SMA LMR-400-UF Coaxial Cable Assembly available in Standard and Custom Lengths. SMA LMR400 Cables are available in Stainless Steel and Brass Material. Custom Labeling Upon Request. TNC LMR-400-UF Cable Assembly for indoor and outdoor use. TNC LMR400 Coaxial Assemblies are available in Male, Female, Bulkhead, Right Angle Designs. Connectors available in Brass and Stainless Steel. BNC LMR-400-UF UltraFlex Coaxial Cable Assembly assembled in house. BNC LMR400 UltraFlex are precision manufactured and available in straight, Male, Female, Bulkhead and Right Angle Designs.